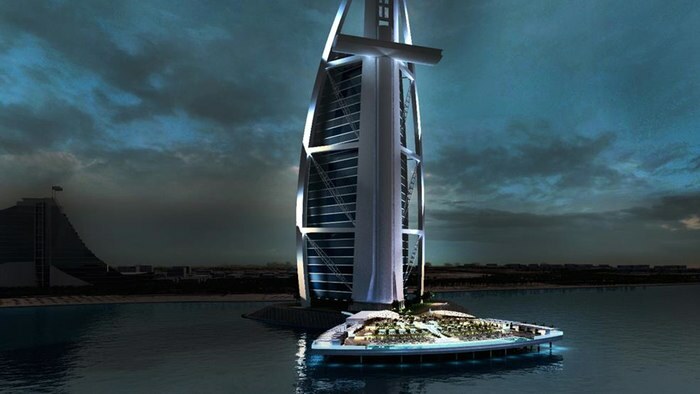 The world’s most opulent all-suite hotel, Dubai’s sail-shaped Burj Al Arab Jumeirah, is creating an expansive outdoor luxury leisure concept, called ‘North Deck’ which will combine creative marine design and ingenious engineering to deliver a world first. Manufactured in Finland and shipped over 8,000 nautical miles to Dubai, the North Deck further demonstrates Burj Al Arab Jumeirah’s commitment to staying at the forefront of innovation and luxury service – a natural extension to the hotel’s iconic architectural structure, while also enhancing guests’ experiences. 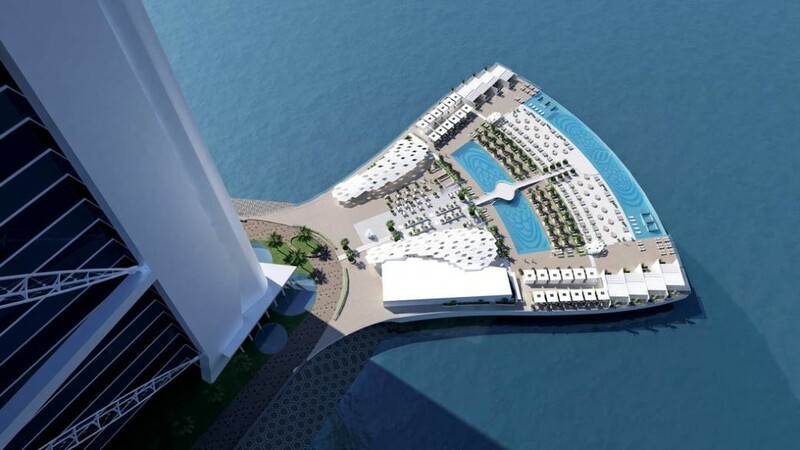 The 10,000m2 private luxury deck, due to launch in the second quarter of 2016, will fan 100 metres out into the Arabian Gulf, providing guests with exclusive access to 32 cabanas and 400 sun loungers. Visitors can relax and unwind at one of the expansive pools, including a 612m2 fresh water pool and 828m2 salt water pool; while also taking advantage of the deck’s restaurant and bar. The North Deck has been developed at a shipyard in Finland by marine construction experts ADMARES – who specialise in the production of cruise ships and yachts – using state-of-the-art marine technology, design and manufacturing expertise, with a strong focus on environmental benefits. The revolutionary off-site construction process has meant minimal disruption to guests. Made from steel and weighing around 5,000 tonnes, the North Deck left Finland on 9th January 2016 and is currently being transported to Dubai by sea. On arrival at the hotel in mid-February, the six sections will be lifted by crane and lowered onto a grid of 90 steel piles, each 914mm in diameter, stretching from the hotel out into the Arabian Gulf. All elements of the construction and steel pile installation process have been considered with the marine environment in mind; specifically designed to provide shade for local fish and to attract undersea ecosystems that are known to cluster around steel piles.